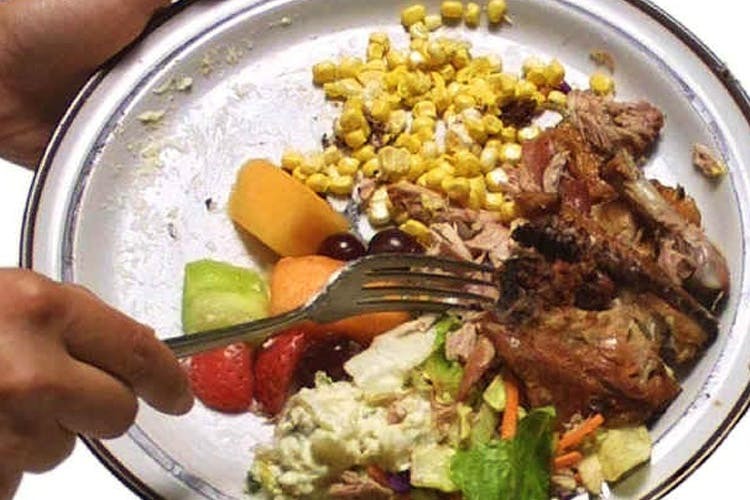 All those leftovers that you would normally throw away after your binge eating at a restaurant can now be used to feed a needy person. So whether you live or visit Goa, the next time you order too much food and waste it, go ahead and donate it to this organization. Some 2 crores worth of food gets wasted every year in Goa alone. With all the big events, weddings, multiple restaurants, there is definitely enough food available to feed an army. Keeping this in mind, David Fernandes, his wife, assistance from SSVP and the St. Diogo Church in Guirim thought they should do something. He has installed a fridge right outside his own home on the busy Chogm Road, right next to the Sangolda Communidade building. Besides this, they even have volunteers who will pick up food if you let them know from certain areas. So next time you have leftovers, just go there and drop it off instead of throwing it away and you will feed another soul who would otherwise have gone hungry. And even better, if you are doing an event in Goa then support this cause by informing your hotel about how you would like to donate all the leftover food to them. They will even send a refrigerated truck to collect food in large quantities after events. They also have a free drinking water facility. They even collect unused or slightly used musical instruments to distribute to orphanages.